When you are in the market looking for a high-performance car, you could have encountered the terms BHP vs. torque and are wondering with metric you should use to measure power. Most of the times if you find a car showing high performance it is the torque that is at work. Toque is how much power you need to turn something – in our case the car’s axles. When a car is represented as producing high torque, you will find driving it simpler because you need very few gear changes. This means acceleration can occur without the need for gear down change. Torque deals with how much power your car has while BHP deals with the car’s ability to convert that power. A car can produce more power when compared to its size due to higher torque. 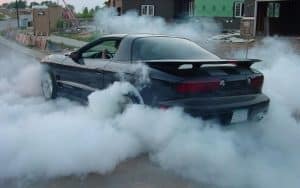 What is often described in many car shows as the torque of a car is the maximum torque that can be produced in the internal combustion engine. With the torque, you now know how fast a car will accelerate. There are other factors that come into consideration when measuring the acceleration of a car like a car weight, lower center of gravity, or large diameter of tires and wheels. If you want to measure how much BHP vs. torque that your car produces you will need to use dynamometer. In the procedure, the car is run through various speeds and braking power measured. The speed of the engine, when multiplied by torque, gives you the brake horsepower (BHP). This is the overall power output. Power is a unit of measure that shows how fast work can be done. In the old times, it was how long it would take for a certain pound of load to be moved within a defined period by a horse. Torque is how much work can be done while power relates to how quickly the work can be done. The mathematical formula for horsepower is multiplying the torque by the rpm. The rpm measures how fast the engine spins. In this equation is means for you to have more horsepower you will need more torque or the car operates at a higher rpm. Mechanical engineers use engine dynamometer. The device uses magnetic fields to transfer torque from the crankshaft to the lever arm bearing. Other people use a dynamometer that uses a water brake. If you have always been curious about how to make your car go faster, you need to understand what goes on under the hood. When air and fuel are fed into the combustion chambers, an explosion is prompted by the spark plugs, this moves the crankshaft and the drive axles. Gears help to amplify a car’s torque and are therefore very critical when you are determining a car’s power. 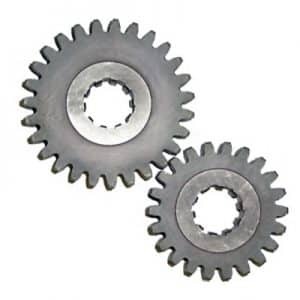 The first gear may have a ratio of 3:1 meaning it multiplies the torque output three times. This power is then transferred to the other gears. A car’s piston has poor torque at low speeds and this is the reason the first gear often delivers a torque that is over ten times the engine output. Car manufacturers try to find a balance between these two. There are moments the equation will move more towards power as opposed to torque. A car weight will influence the torque and acceleration while power will be influenced by the aerodynamics. A car’s acceleration can be hindered by rolling resistance of the tires, aerodynamics drag and friction caused in the engine. For those who have a basic knowledge of how cars operate the conclusion is that BHP and torque mean the same thing. Modern cars run have an internal combustion engine. A mixture of air and fuel is ignited causing a massive explosion that pushes the pistons up and down. This, in turn, turns the crankshaft, and the car roars to live. 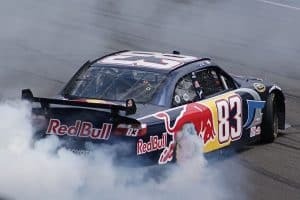 Energy is converted from one form to another in the car. In the old day’s horses were used to move loads but this has now being replaced by the engine. Work is defined as the ability to move a load over a distance. The unit of measurement is foot per pounds. Torque is the force that is generated by the crankshaft. The more of torque you have, the more pounds of load you can move. Other definitions of torque include the energy you apply to move a wrench. How fast you can spin an engine is limited, and this means that a car with higher torque can generate higher BHP at lower rpm. This is clearly seen in sports cars that are lightweight but have low torque but higher horsepower and high rpm. The most efficient cars are those that can produce enough torque at low rpm and sustain this for long distances. Torque is directly related to the airflow coming through the engine. Extremely large engines will have large airflow inlets to boost their torque. Small engines can also benefit from turbochargers, superchargers and other boosters to enable large airflow to go into small engines. With electronically controlled fuel injection the amount of fuel being used for combustion can also be increased to match the increased airflow. Other engine parts also have to be adjusted to cater for the increased pressure from the combustion engines. This means adjusting the coolants and lubrication to handle the rapidly moving parts. It is hard to conclude in BHP vs. Torque, which one is better than the other. Both influence each other. There are those who would prefer having a car with higher torque with low rpm. Torque influences how an engine operates but horsepower determines if it is a good one. Motorcar enthusiast knowing the interplay between air and fuel in combustion have made adjustments to their engine airflow by allowing more air to go into the combustion chamber. However, this necessitates one to make certain adjustments to the engine other accessories like coolant and engine oil. Otherwise, the engine will blow up due to the increased pressure.